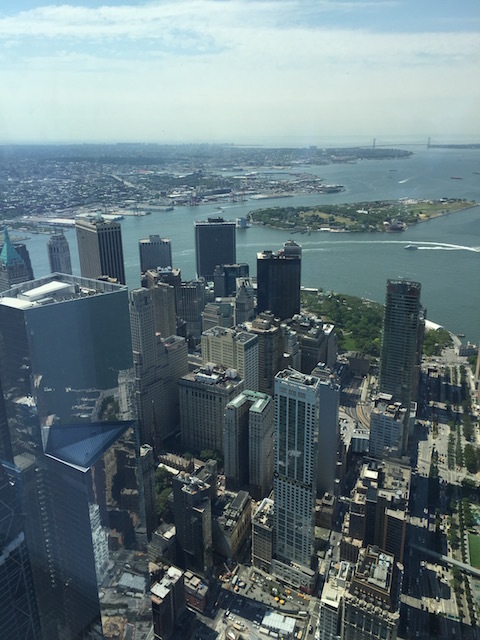 So we had a wonderful time – all the way from Governors Harbour to New York City… Actually it is a pretty easy trip – we flew JetBlue from Nassau direct in to JFK. The flight is only about 2hrs 20minutes and then a taxi ride into SoHo. 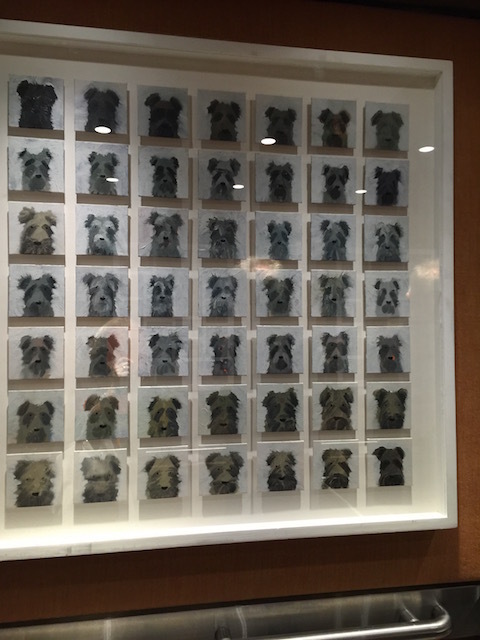 We were in the Crosby Street Hotel by 2.15pm. 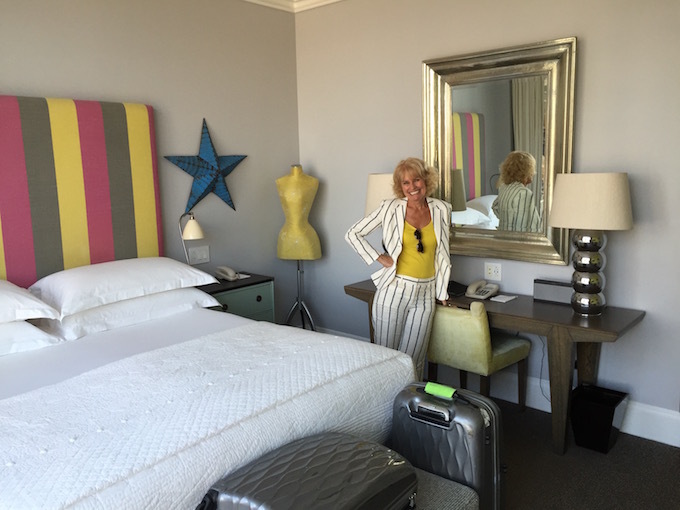 And what a hotel – it surpassed all my expectations – simply fabulous. 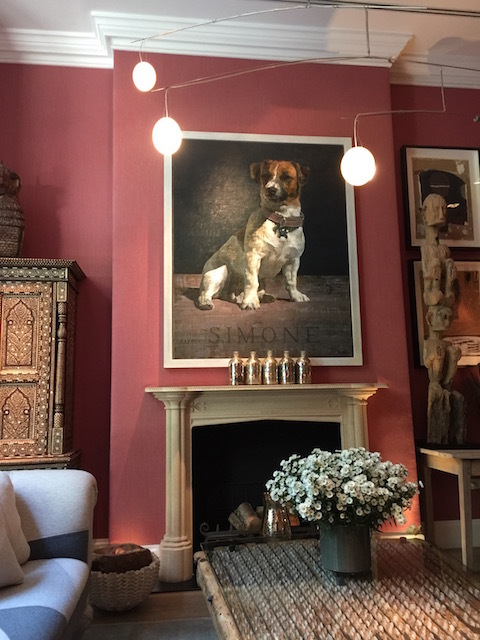 The decor, the staff, the service and the BREAKFAST – all absolutely the best. When we arrived there were a few paparazzi outside – after we had settled in to our lovely room and went out for a stroll there were quite a few more. When we left to go out to dinner at Indochine – there were absolutely swarms of them ! I asked one person outside in the throng who they were waiting for and she said that she didn’t know but would wait along with them and her iPhone to see who it was !!!! Crazy ! Actually it was Blake Lively – an actress – sorry I didn’t know who you were ! We came down in the elevator with her – along with her entourage. Super glamorous and wearing huge hi-heels ! I felt like a very small person next to her – but I had a bigger smile on my face I can tell you ! 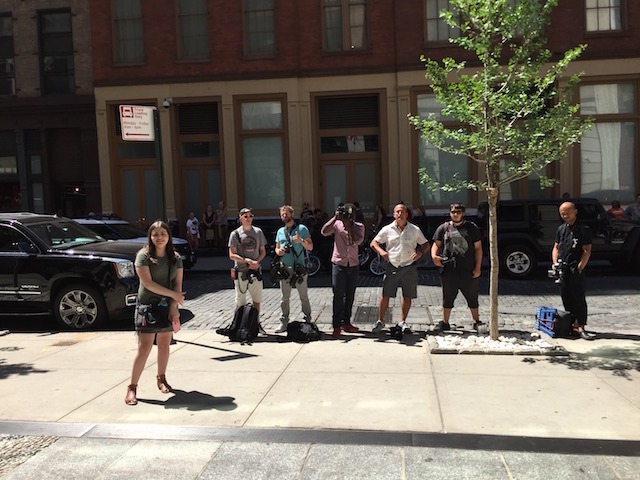 Paparazzi outside the hotel – not waiting for us ! 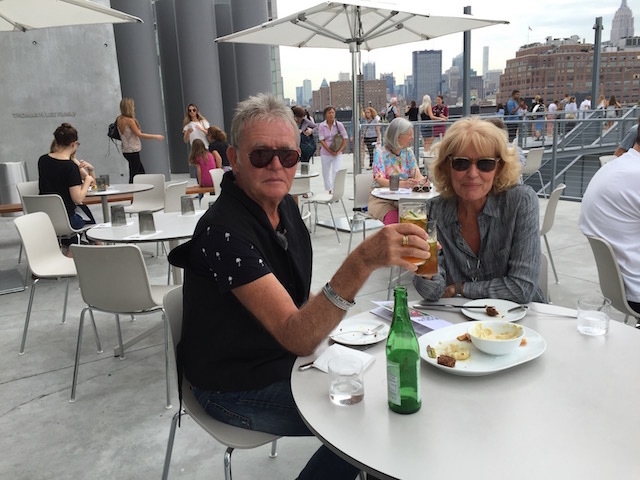 The next day we went to the new Whitney Museum and then walked along the High-Line. I have been wanting to do this for a long time – for anybody who doesn’t know – it is an elevated park made from a disused railway line. Perfect for a leisurely stroll uptown. 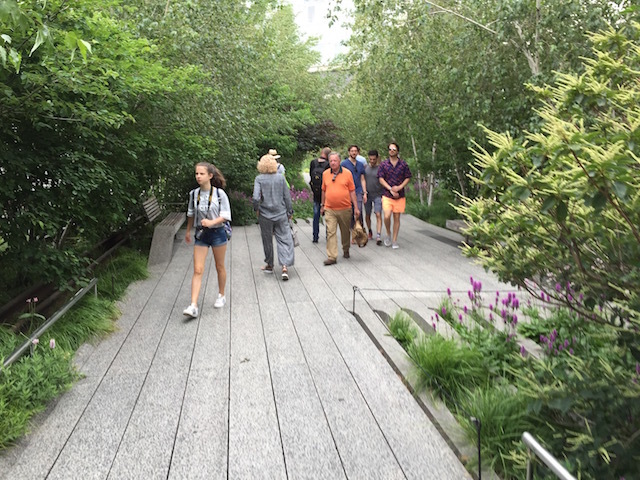 A view down the High-line – absolutely inspired….. 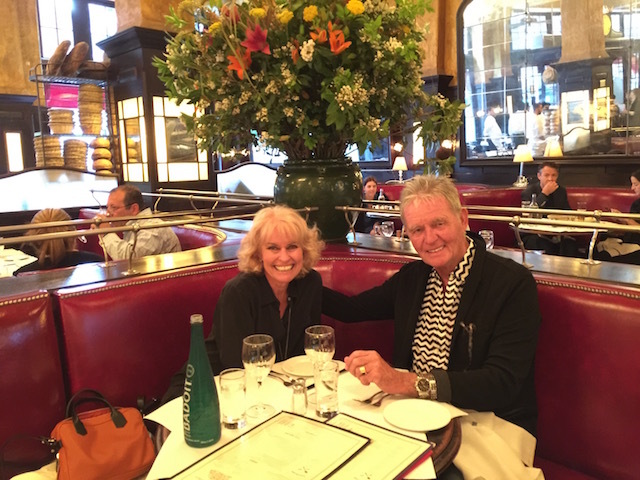 Early supper at Balthazar before going to see Hamilton. 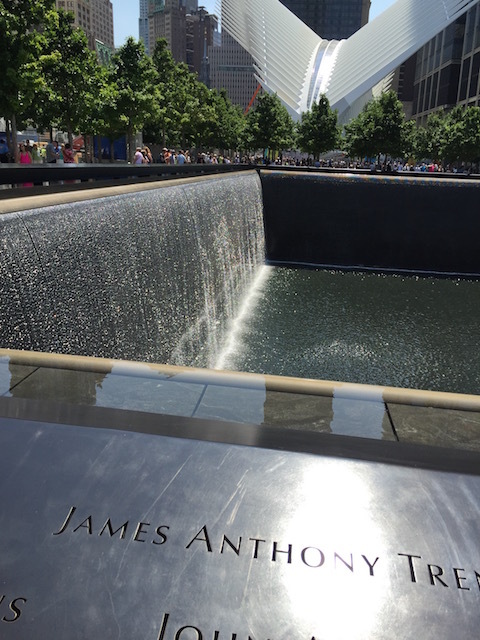 On Friday morning we walked down to the site of the 9/11 Memorial at the site of the World Trade Center– it was a very emotional experience to be there where so many people lost their lives and where there were such acts of bravery and love in the terrible aftermath. Of course there was shopping and eating as well. 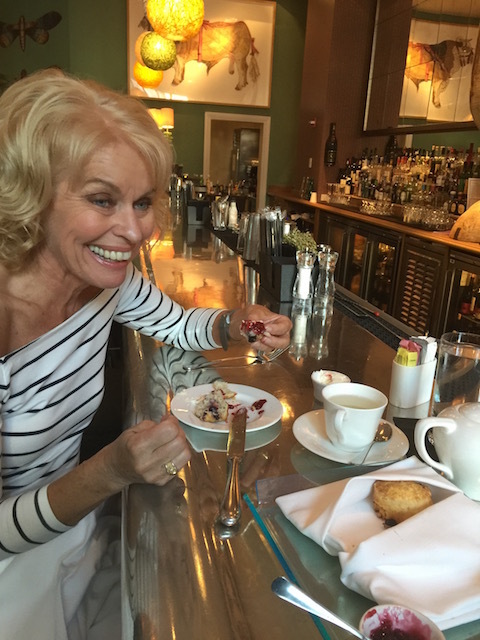 Some of the most memorable occasions included mint tea and freshly baked scones at the hotel – well actually that happened twice but who’s counting ? 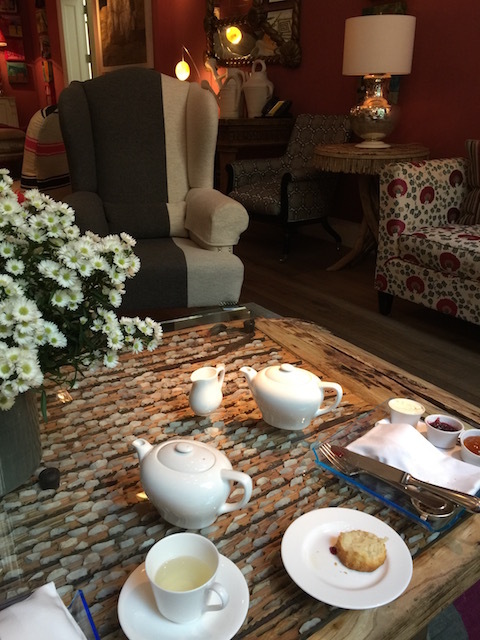 Yummy or what – fresh baked scones and mint tea at the bar in the Crosby street Hotel – plus lashings of jam and cream !!! 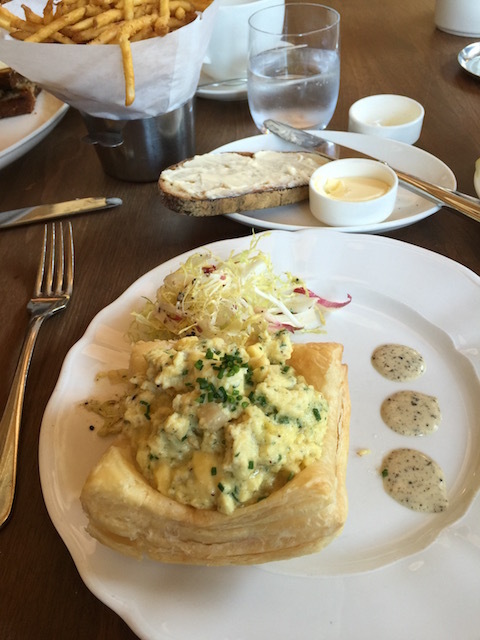 A sensational brunch at Lafayette where I ate soft scrambled eggs with chèvre and leeks in a pastry case with truffle oil vinaigrette – so darned good ! 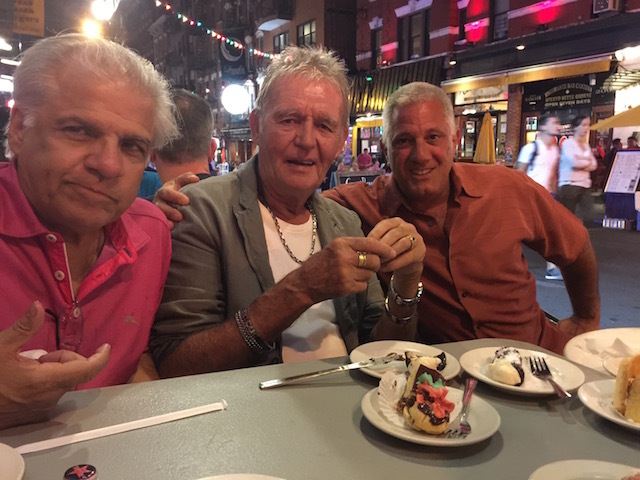 Chinese food in Chinatown with friends Anthony and Krista Santanello , Tom and Carol Mesce and Ari Sklar – followed by a stroll into Little Italy for coffee and desert ! At Balthazar before going to the theatre Bob had Moules et Frites and I ate a divine Amish chicken breast with asparagus and parmesan gnocchi and chanterelle mushrooms. 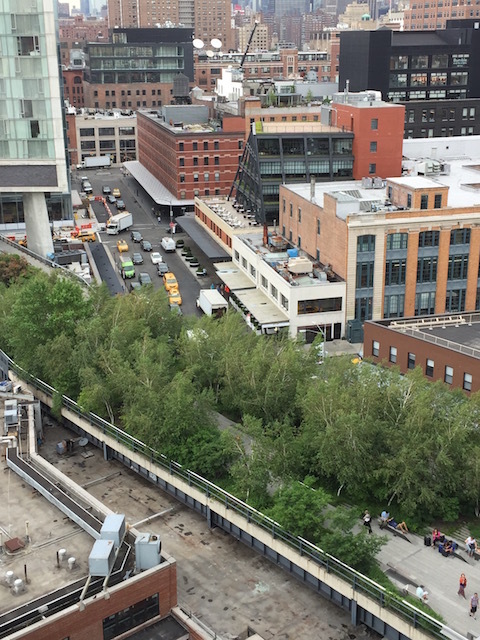 Thank goodness New York is a place where you walk a lot – and where it is easy to buy Tums ! 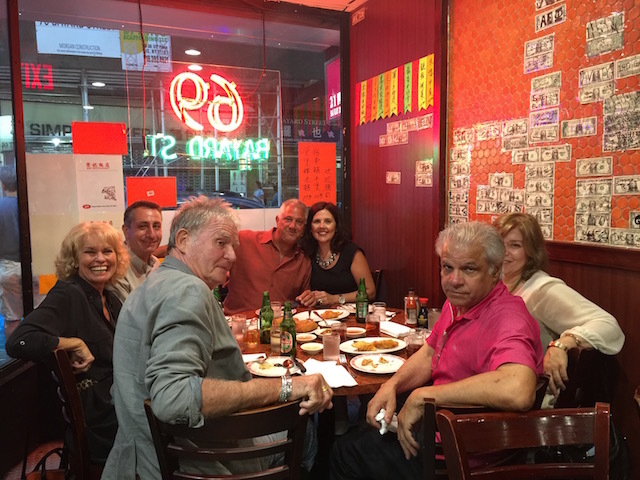 We also went to a wedding and lastly visited great friends in Oyster Bay – an action packed 6 days …. It was a great balance of culture , food, shopping and seeing friends. 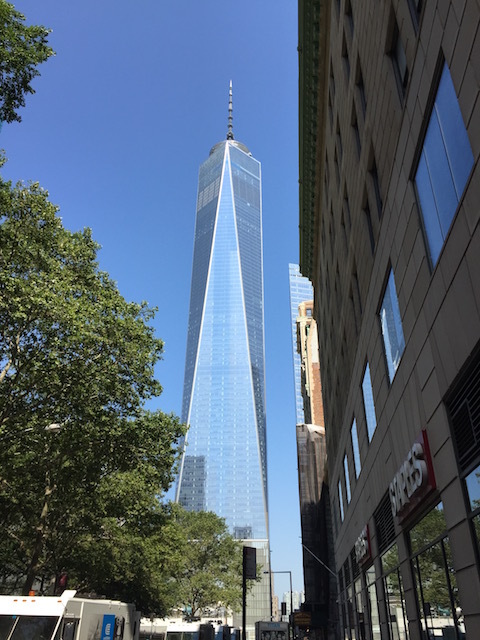 A real shot in the arm of inspiration from all sorts of places – we have vowed not to leave it too long before we do it again – the last time we visited was in May 2013 – note to self – visit NYC more often ! Loved reviews and photos of the food most of all! The tour of WTC must have been life changing. And you took a photo of the paparazzi! LOL….Karma! It is such fun for us to see our friends on their home patch rather than just here…. We look forward to it !